Technology in the classroom is about more than finding the latest trends. It’s about understanding the way today’s students learn. Technology is reshaping the modern educational landscape. 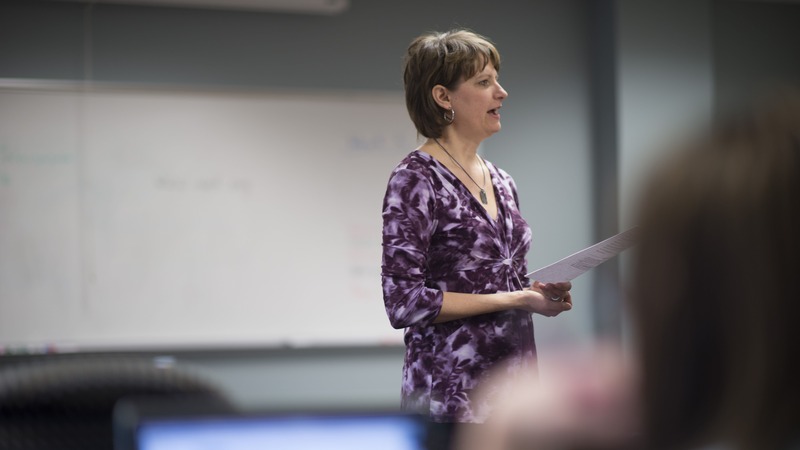 At Bethel, we understand that today’s teachers want to build skills to help them better integrate technology into their classroom in useful and innovative ways. The Teachers of Computer, Keyboarding, and Related Technology Applications License is designed to do just that—prepare educators for improving the way technology is taught and used in their schools. This license is designed to prepare educators with a valid K-6, 5-12, or K-12 teaching license to integrate technology into their classroom in useful and innovative ways and to improve the way technology is taught and used in their schools. Last year, 89% of students that began the program completed it on time. 100% of students who took the MTLE technology content exam passed it. Students complete all coursework online with a practicum experience at a school in their local area. Courses are offered summer, spring, and fall. You can earn the licensure as part of the M.A. in Education K-12 program, or as a license only. Up to 9 credits of the license can be transferred directly into the 32-credit M.A. in K-12 Education program. Or simply follow the license-only track. This program will help teachers expand their options by becoming licensed to teach computer and keyboarding classes as well as lead, collaborate, and consult with other classroom teachers for the purpose of integrating technology learning into content area curriculum.